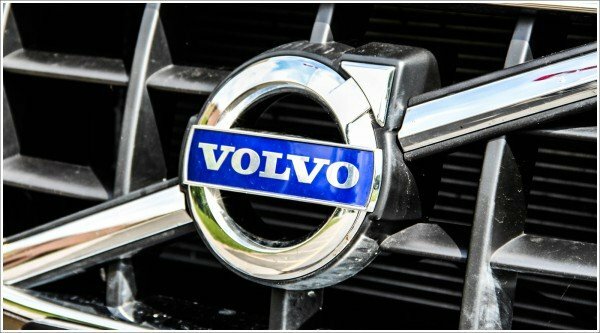 “I am rolling!” – the name of Volvo– a Swedish car– announces us in translation from Latin. 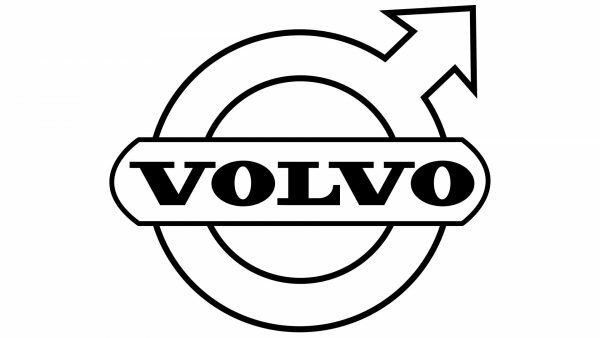 In 1927, the first car of the make Volvo together with its logo appeared. The circle with an arrow loomed on the nose of the car: this is, simultaneously, a symbol of iron (because “the real Swedish car” was built from “genuine Swedish metal”), and of the Roman god of war Mars, and of the male principle. It was decided to fix the badge on the radiator grille in a simple way with the help of the diagonal stripe. Many years later, this stripe will become Volvo’s famous, distinctive insignia. A dark-blue oval with the inscription “Volvo Gothenburg Sweden” was fixed under radiator cork itself. First, there was no single standard for the logo, for a long while the firm’s designers modified the insignia based on their desire. The modern logo of Volvo cars is still the same diagonal stripe with the stylized “symbol of Mars” in the middle, and its letters` type was developed in 1958. The car OV4 became the first Volvo model, the production of which started in April 1927. This simple car received the nickname Jacob. The car had two modifications – an open OV4 phaeton and a closed PV4 sedan. From the very beginning of its existence, Volvo uninterruptedly created models of cars, where the high-security level and the high quality had the primary priority. The company has been producing luxe cars, looking for a possibility to create representative, sport models, expensive and cheaper ones. It is incredible to reassess the role of a company in development and introduction of the newest security systems, which repeatedly brought prizes of international organizations. Since the 50s, Volvo was the first carmaker in the world, which fitted front seats with snap-on three-point seat belts, which became a standard (Amazon, PV 544). Afterwards, new safe locks appeared on the belts and car doors (the (model 144). In 1964, the company with the participation of medical experts developed a new type of the front seat supporting bearing of a driver in the position necessary for driving safety (Amazon). In 1969, headrests in the front seat, safety belts for passengers being seated in the rear seat providing safety during emergency braking (140 Series) appeared. In the 80s, Volvo offered airbags and taking care of children, designed a removable seat for the smallest ones (before 4 years of age), and in 1990, a seat built into the armrest of the rear seat was created. Airbags were fit into the steering wheel, the headrest in the rear seat in the center and some other places of the model 940 of versions GL, GLT, Turbo. Thus, by 2000, the company steadily occupied the highest places in all ratings of the best cars. But in 1999, in spite of the displeasure on the part of the government of Sweden, by the majority of votes, the controlling block of shares of the Volvo Company was sold to the American concern, Ford. Volvo’s new generations always exceed time in its equipment, style, quality, and safety. The models S60, S80 are perfect, possess the best characteristics, strike the imagination of drivers, create comfort and pleasant driving. In 2000, the model S80 was called the safest car in the world. The presentation of SUV Volvo XC90, which was the first off-road vehicle of the Volvo Company, took place in Detroit in 2002. It caused a great interest of drivers. In 2003, the rates of production of company’s cars started to decrease gradually. Soon, the complete freezing of new Volvo model development became the solution to the Ford concern and then – the complete stopping of the production of cars in the period since the middle of 2009 until the 1st of January, 2010 as well. In 2010, the Geely Company and the government of China became the new masters of the Swedish make. Since 2013, the car Volvo V60, a station wagon of the class “D” with the front wheel or four-wheel drive was created. In 2014, the company represented Volvo XC90, the off-road vehicle of the class “K2”. Volvo Trucks Corporation belongs to the top list of world leaders producing heavy trucks. This company was founded by Gustave Larson and Assar Gabriyelson in 1916. It is a subsidiary organization of the popular SKF bearing manufacturer. The first series car ran out behind the plant gate in 1927. The enterprise received the complete independence from SKF in 1935. At the beginning of 1928, the first truck appeared. It was called “LV-series 1,” and it had an enormous success. A two-liter engine with four cylinders was fit on it. The power of the engine was 28 horsepower. Volvo’s trucks are considered comfortable and safe. Many industrial and design centers situated in the USA, Brazil, Sweden, and Belgium are included in the global international Volvo Trucks Corporation. It accommodates an enormous number of assembly firms worldwide. The Volvo symbol was designed in the 1950s by Karl-Erik Forsberg, the renowned Swedish calligrapher, graphic artist, and typographer. It comprises of the pre-historic chemical mark of Iron. This archaic emblem also symbolizes Mars, the God of War, and “male” the gender symbol denoting. The blue color in the Volvo emblem depicts excellence and reliability of the make, whereas the silver signifies its sophistication and creativity. 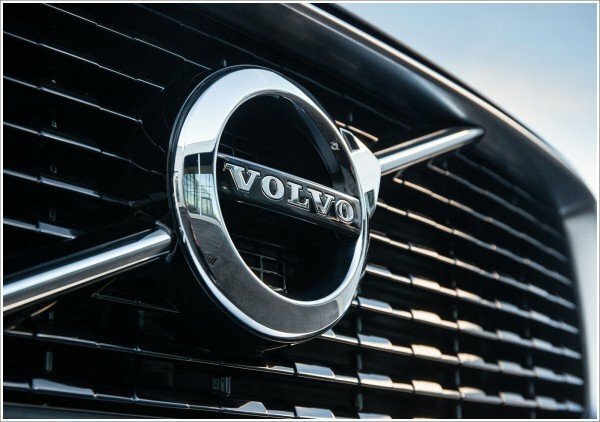 The Volvo emblem features a handwritten typeface created by Forsberg. For this moment, the make Volvo is the safety brand. Every year, the make pleases with fresh novelties and innovations, in the sphere of safety, as well as in the sphere of reliability. The Volvo Company during the next four years intends to update its line of models completely. Three new models of the family 90 will appear, there will be a replacement of S80 and V70, as well as a restored S40 sedan will appear among its cars. The representatives of the company promise that soon one more hybrid car of the premium class under the name of D5TwinEngine will be created. This car will have simply superior indicators of expenditure of fuel, namely 2,5 liters per 100 kilometers of mileage. The power of its engine will not be less impressing: 400 horsepower. It is a genius engine.